Pepperdine Graziadio Business School announced the winners today of the 11th Annual George Awards, which recognizes outstanding members from the Graziadio community. The George Awards—named after the Graziadio Business School benefactor and Imperial Bancorp founder George L. Graziadio Jr.—recognizes students, alumni and faculty who exemplify integrity, stewardship, courage and compassion while enriching the business world through their superior skills and entrepreneurial spirit. "This year’s awardees embody what it means to be a Best for the World Leader, and exemplify the legacy and namesake of our school, George L. Graziadio, Jr.," says Deryck J. van Rensburg, dean, Pepperdine Graziadio Business School. This year’s student recipients are LTC Daniel J. Carlson (MBA); Kiko Garcia (Full-time Joint BS/MBA); Brian Hamilton (Joint BSM/MBA); Kristy Lapidus (MSOD); Linden Mallory (EMBA); Carl Schroder (MHR); and Hunter Turpin (MBA). Student award recipients must have maintained a minimum 3.5 GPA, completed at least two trimesters and be outstanding leaders in the classroom. Alumnus Steve Bilt (PKE MBA ‘01) will receive the Waves of Service award. Bilt is the Chief Executive Officer at Smile Brands Inc. (SBI) and OneSmile, LLC. He co-founded Smile Brands and OneSmile and in 2016 combined the two businesses (collectively "Smile Brands"). Steve was integral in SBI’s three initial platform acquisitions and led the acquisitions of Monarch Dental Corporation [NASDAQ: MDDS] and Castle Dental Centers Inc. [NASDAQ: CASL]. Steve also serves as Chairman of the Smiles for Everyone Foundation. The Smiles for Everyone Foundation has established international outposts serving six countries in South America, Asia and Africa and conducts ongoing events throughout the United States. Steve earned a Bachelor of Arts degree in business economics from the University of California, Santa Barbara; a Master of Business Administration degree from the Graziadio Business School at Pepperdine University; and completed the Harvard Business School Presidents’ Program. He is a Certified Public Accountant (inactive) in the State of California. 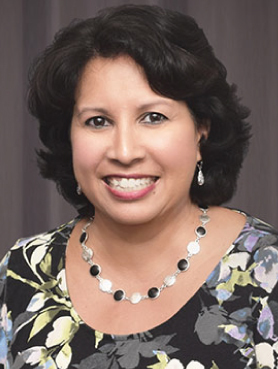 Alumnus Lori A. Torres (PKE MBA ‘14) will receive the Outstanding Graziadio Alumnus Award. 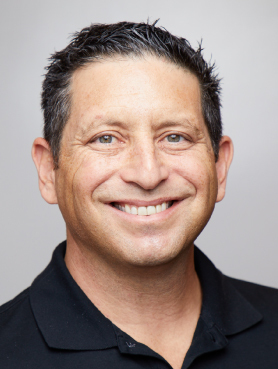 Torres is the founder and CEO of Parcel Pending, the nation’s leading provider of innovative package management solutions with 100% Always-On Customer Service®. She is a dynamic and successful entrepreneur with more than 25 years of real estate experience. Additionally, she has been recognized on multiple occasions for her leadership, including being named 2017 "Innovator of the Year" by the Orange County Business Journal and chosen as one of 13 entrepreneurs admitted into the EY Entrepreneurial Winning Women™ 2017 North America class. Lori holds a Master of Business Administration from Pepperdine Graziadio Business School. She also holds a California Real Estate Broker License and is a certified property manager. 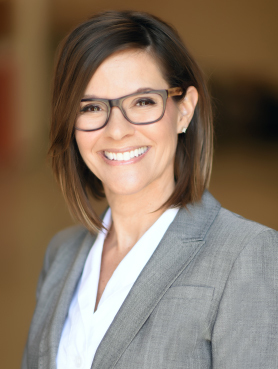 Charla Griffy-Brown, Professor of Information Systems at Pepperdine University’s Graziadio Business School, will receive the Outstanding Faculty Award. Griffy-Brown has held many leadership roles. She has experience developing digital platforms to achieve strategic objectives and has worked with executives to achieve top and bottom-line growth leveraging digital innovation. She has a strong track record helping executives implement new initiatives in social media analytics, service design, cloud/IoT based enterprise systems and business intelligence/analytics. Dr. Griffy-Brown graduated from Harvard University, is a former Fulbright Scholar, and holds a PhD in Technology Management from Griffith University in Queensland, Australia. She has worked for NASA at the Kennedy Space Center and served as a consultant for the United Nation’s Global Environmental Facility and the European Commission. George Award recipients will be honored during a 5:30 PM ceremony at Casa del Mar in Santa Monica.